You'll absolutely love this Early Bird V-neck nightshirt.Whether you wear it to simply sleep in or to just lounge around, you can count on looking unique! V-neck style, tapered cut a shorter sleeve and a splash of contrasting color inside the neck. 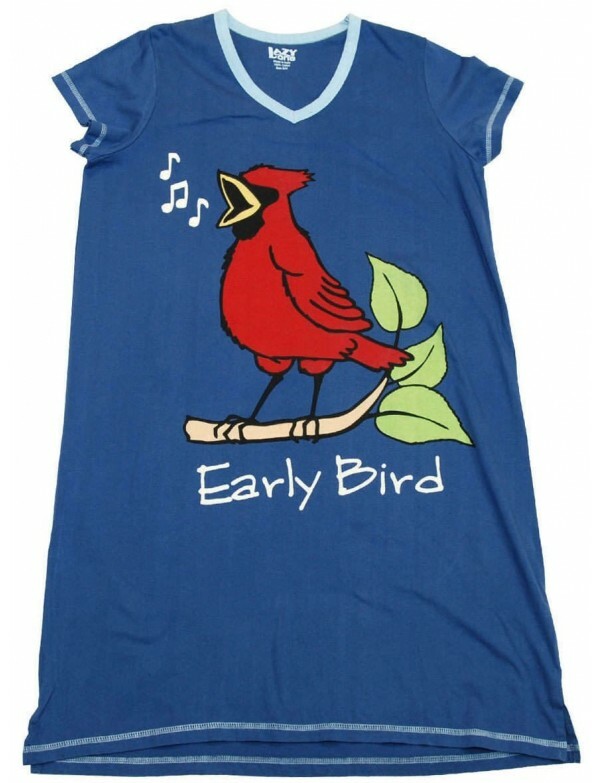 You'll absolutely love this Early Bird V-neck nightshirt. Whether you wear it to simply sleep in or to just lounge around, you can count on looking unique!